Host a stylish wedding that is sure to reflect your posh personality. metallic accessories and highlighted with crystal chandeliers. “The year will be delicious with featured craft beers, farm-to-table culinary experiences and tasty tidbits of favorite comfort foods,” he says. “Ontrend couples will celebrate in lounge and DJ environments reminiscent of today’s most popular nighttime hot spots.” The inspiration is endless – and paired with your own personality and style will create the perfect celebration. For years you’ve juggled it all. Marriage, motherhood, work and home-taking the kids to sporting events, working late, cooking meals and taking care of others. Balancing all these responsibilities can cause stress and wreak havoc on your face and body, creating wrinkles, dull skin, adult acne, premature aging and more. Perhaps, it’s time to take care of yourself and set an intention to renew and rejuvenate! Let Dr. Campbell and his all-star team of experts help you revitalize your skin and reverse the signs of aging with customized treatment options that deliver real results that look and feel natural. To find out how you can look and feel revitalized, call us today for your complimentary consultation at 262-242-7772. Look Great, Feel Great, Confident Beauty. jeweled and open-back dresses continue to shine on the runway, complemented by an exquisite variety of necklines and overlays, says Apfelbach. And the metallic obsession doesn’t end with wedding gowns. Local experts say 2015 weddings will be set aglow with shimmering florals, invitations and overall décor. It’s time to shine on, lovebirds! 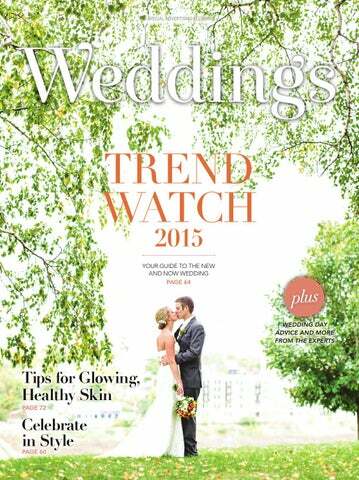 TREND WATCH Your guide to the new and now wedding. Shine On Blue was the color and separates offered sophisticated style options on the runway at Bridal Fashion Week, but according to Cynthia Apfelbach, owner of ZITA BRIDAL SALON, it is lace, leather and the shimmer of gold lame that modern, elegant brides will be wearing in 2015. TIPS FROM THE EXPERT “Going into a store and picking a ready-made engagement ring from the case isn’t good enough anymore. Millennials love having a hand in creating a custom ring that is uniquely theirs. It makes the gift of an engagement ring even more personal. We’re also seeing brides stray away from white diamond centers. Instead, they’re opting for yellow, pink, blue or champagne diamonds, morganite, sapphires or rubies. Celebrities like Blake Lively, Halle Berry and Penelope Cruz are leading the color trend. trim body fits, short coat lengths, and fitted shirts and trousers. Go Classic Classic looks in black and white (a la Cary Grant) are sophisticated and distinguished. “It’s very crisp and clean,” says Matsudaira. “We still see quite a bit of color in accessories, primarily to match the bride/bridesmaid colors, but we seem to be trending a bit toward classic black and white as of late for weddings.” Feeling Blue Blue tuxedos in all fits are gaining popularity, thanks to male celebrities rocking the look at awards shows. “This is a slightly less formal look than black, and a great color for warmer-month weddings," says Matsudaira. Tie One On Bowties and pocket squares are being worn more often, as opposed to long ties. “Of course, we typically outfit the groom in something a little different than his groomsmen, and this might be as simple as changing the color of his bowtie and pocket square,” says Matsudaira. WHEN YOU EXCHANGE YOUR VOWS WE’LL PROVIDE THE WOWS. For dates and details, tours and tastings, call our Catering Directors, Kris or John at the City Club, and Amy or Annie at the Country Club. Be sure to ask for a copy of our “Perfect Setting” Event Planner. A PERSONAL INVITATION Custom-tailor your wedding to perfectly fit you and yours. are placed on papers for an elegant look. ➻ Watercolor illustrations, botanicals, washes and patterns are making a splash. 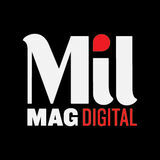 ➻ Handwritten fonts, as well as clean line fonts, create a personalized, modern look. ➻ Blush pinks and flesh tones will be predominate again in 2015 — natural, understated and utterly romantic. ➻ Poster-style invitations allow for a casual and fun approach. express individual style or a unique theme. opening in 2016, you can now commemorate your special day with personalized bride and groom bobblehead wedding cake toppers. The bobbleheads "make amazing one-of-a-kind keepsakes," says National Bobblehead Hall of Fame and Museum spokesman, Phil Sklar. Light up your venue with a classic beauty look and glowing, healthy skin. Bridal beauty will feature more classic and subdued makeup looks than previous years, with a focus on fresh skin and a hint of color. Lips with a vivid yet soft color are the centerpiece of this look. Think coral, sheer fuchsia or even a soft orange or tangerine hue. Also, deep maroon and vintage-inspired lips are on tap for spring. From sheer to full coverage, the airbrush can do it all for eight to 12 hours of wear. This foundation stays matte longer on oily skin but can be made dewy for a hint of shine. The Skinny on Skin Treatments Simply put, Chris Kann was not happy with her skin. A market research consultant, radio host and business owner, she was constantly worrying about her rosacea and adult acne. Unsure of where to begin addressing her skin troubles, she turned to QUINTESSA MEDICAL SPA. Celebrating your heritage and making your venue uniquely you. evening dance reception." Another emerging trend is the celebration of a couple’s heritage. “There have been many different cultures represented recently, including Indian, Brazilian, Korean, Chinese, Italian and German,” he says. “Nearly all of these weddings have had aspects of both traditions from their family or ancestor’s culture, as well as a modern American wedding.” And yet others have honored Milwaukee by adding touches of typical Wisconsin flair, such as Wisconsin beer and fish fries for the reception. WE’VE BEEN HELPING COUPLES PLAN THEIR DREAM VACATIONS SINCE 1991. WE ARE A FULL-SERVICE TRAVEL AGENCY OFFERING VALUE-TO-LUXURY VACATIONS, SPECIALIZING IN HONEYMOON & DESTINATION WEDDING PLANNING.